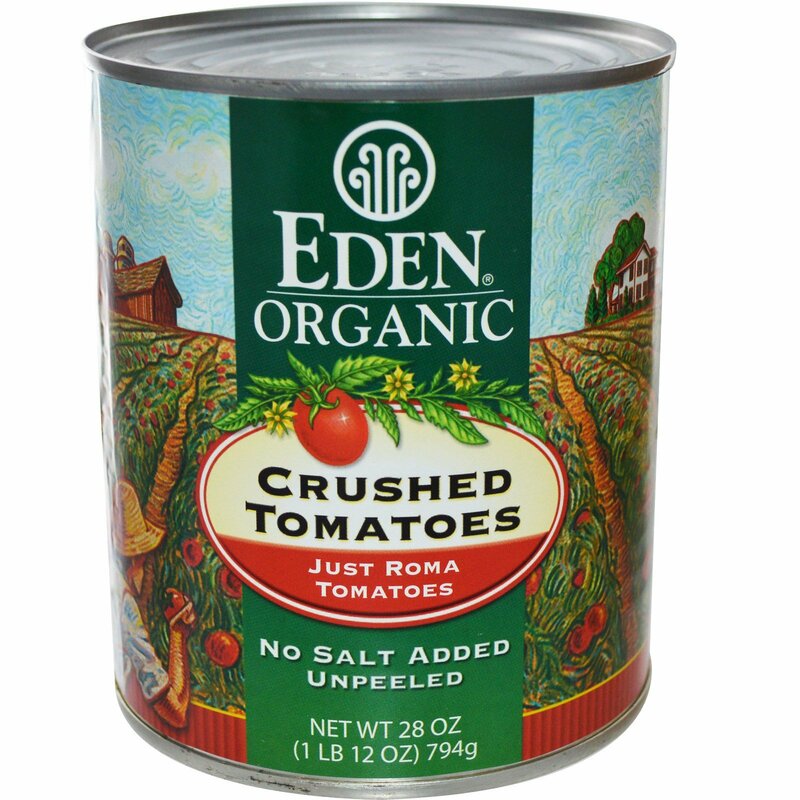 Eden Organic Crushed Tomatoes are the distinctive, flavorful Roma variety, family farm grown. Whole unpeeled tomatoes are hand sorted, washed, ground, cooked, and then passed through a screen. Fresh packed just hours after harvest we've captured the garden fresh flavor and all the nutrients provided by nature. Superior flavor, rich, and thick. 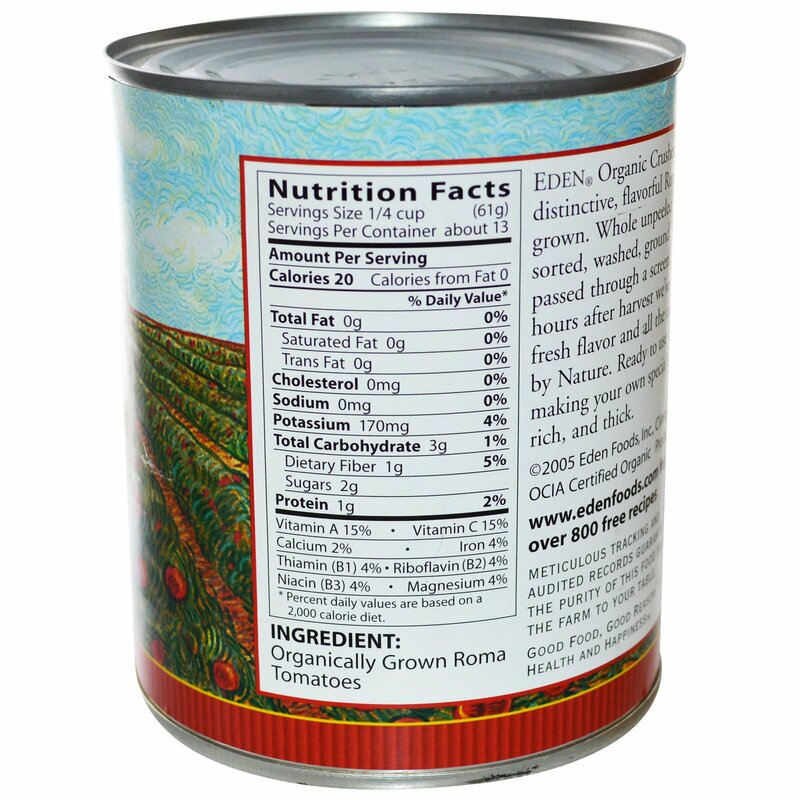 Ready to use for soups, stews, and making your own special sauce.